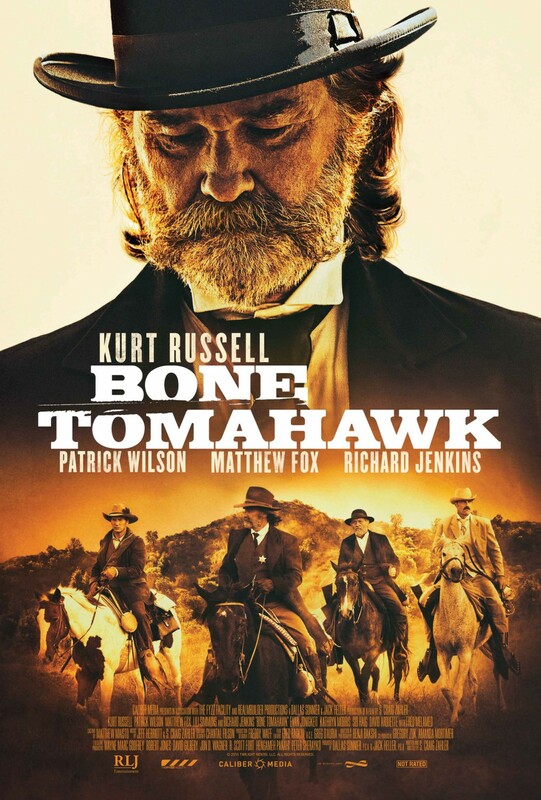 Chrichton's World: Review Bone Tomahawk (2015): Slow and unsettling but worth the time! Review Bone Tomahawk (2015): Slow and unsettling but worth the time! Bone Tomahawk is a directorial debut that S. Craig Zahler can be very proud of. There is not one hint of this film being directed by someone who never has done that before. Quite the opposite. Here I was expecting this to be one big bad cheese fest. 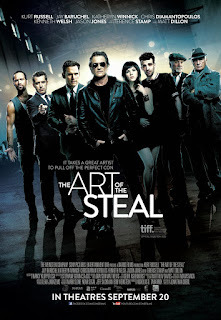 Instead I got served a film with a great cast, good buildup of tension, chills, action and adequate storytelling. Combining genres often is a tricky business. It can go wrong very easily. Bone Tomahawk is an example of how you can do it while staying true to what makes the genres so appealing in the first place. It really helps to have such a good cast who take the material that they have to work with seriously. It also makes you care for them and you don't want to see anybody getting hurt. It is here where the movie does something remarkable. 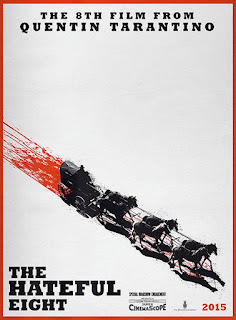 Bone TomaHawk manages to put dread into you knowing very well of what is coming. By taking it's time to tell the little plot there is tension is added to such an extent that the impact of the eventful moments that is huge. These moments come unexpectedly and are over before you know. Very little time is given to think about of what has happened and when you do it already is too late. Of course the the impact would have been bigger had they not spoiled the premise in advance. Still it's a good thing that S. Craig Zahler proves you can do so much with so very little. Now when things do start getting bad they get real bad. I advise you not to eat during this film because you will lose your appetite. This is coming from a horror fan who already has seen his fair share of disgusting films. Not that everything is so graphic. It's more the way it's done. Think Game of Thrones style shock and you have a pretty good idea what I mean. Overall I truly enjoyed Bone Tomahawk but I am not going to deny that I thought it was a little too slow at times. Still fair is fair. The film does reward you for your patience. So do check out this one out.